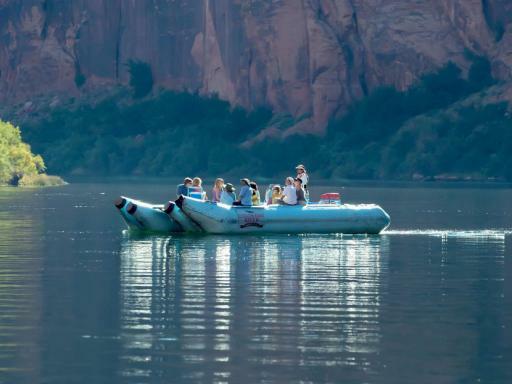 Departing from Grand Canyon Airport, take off from the South Rim and enjoy a spectacular flight over Grand Canyon National Park before discovering the ethereal beauty of Antelope Slot Canyon by jeep and taking a cruise along the majestic Colorado River. 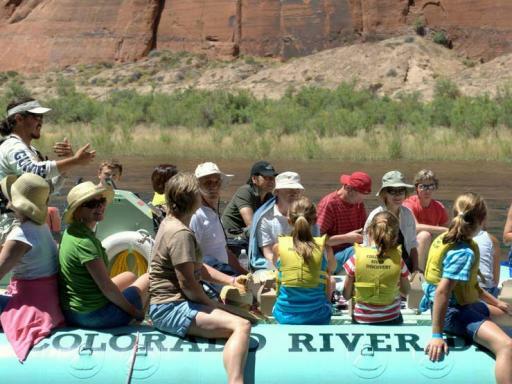 Departing from Grand Canyon Airport, this full day tour ticks off some of the wonders of the West from land, air and even boat. 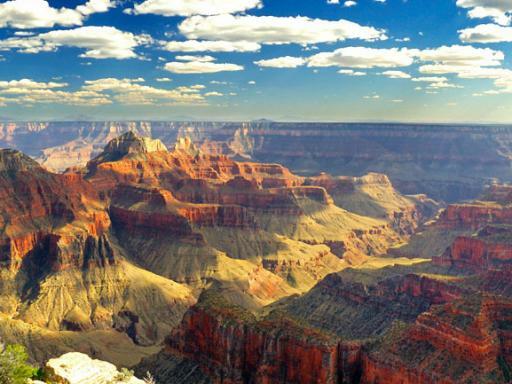 The central region of the Grand Canyon, where the geography is at its most diverse, has a width of nearly 11 miles across and is nearly a mile deep as you'll discover when you fly over it en route to Page. 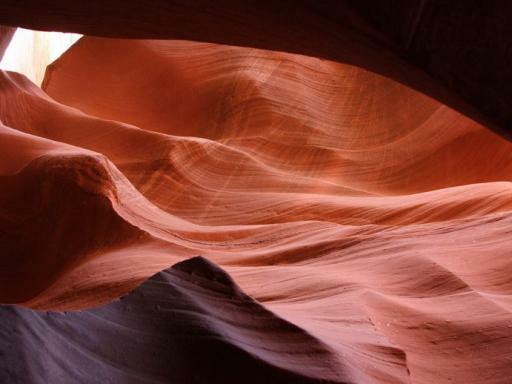 At landing, you will be collected buy jeep to embark on a guided tour of the visually enchanting upper Antelope Slot Canyon - Don't let the battery on your phone run out as you'll surely want pictures taken in this most other-worldy of places! 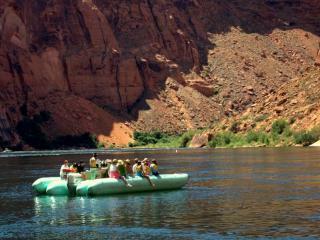 Next, board a river raft at the foot of the Glen Canyon Dam for a 15-mile (five-hour) smooth water float on the Colorado River. 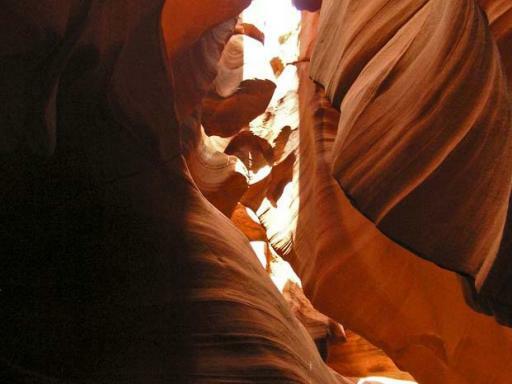 Witness the rock formations and the canyon walls rising hundreds of feet on either side of you. Stop along the way to see ancient petroglyphs interpreted by your river guide and to enjoy some time by the river before docking at historic Harper's Ferry. 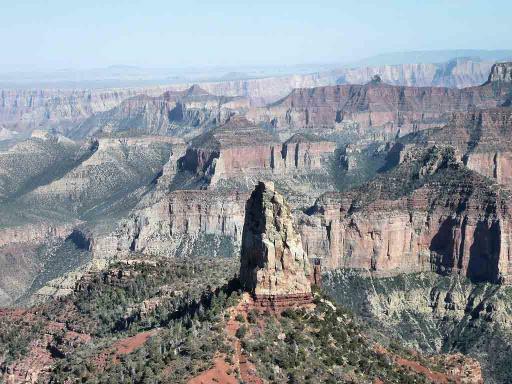 Your trip will conclude with a transfer back through the Navajo Nation to Grand Canyon Airport by bus, stopping en route at the famous Cameron Trading Post. 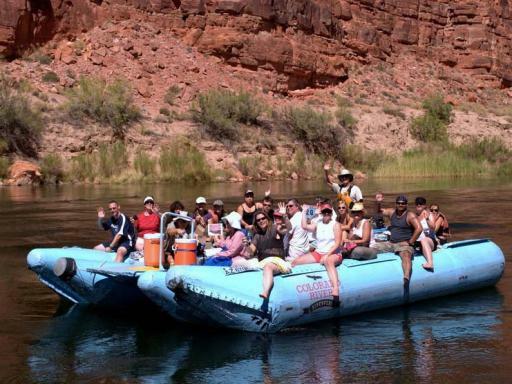 Please note: This tour departs from Grand Canyon Airport only and is perfect for customers already staying at the Grand Canyon. 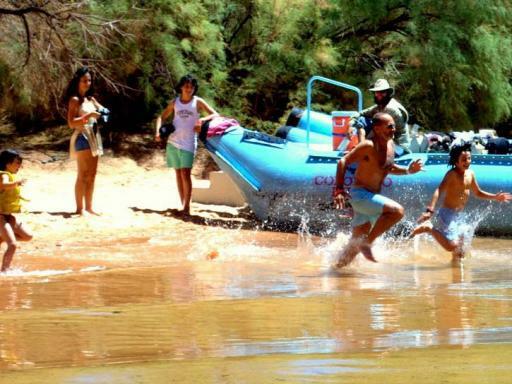 If you are staying in Las Vegas, other tours are more suitable. See our website for more options. 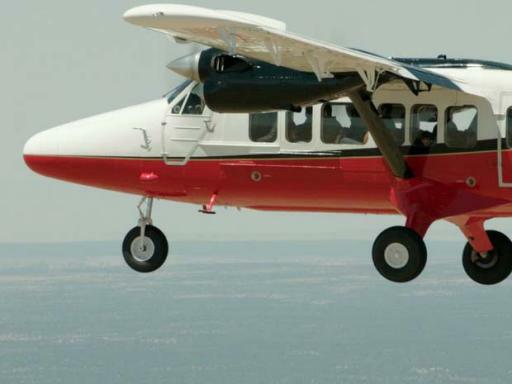 Departure Location: This tour is only available for customers already staying at the Grand Canyon and departs from the Grand Canyon Airport in Tusayan on the South Rim. Check in Time: ou must check-in at Grand Canyon South Rim Airport 30 minutes before your scheduled flight time. PLEASE NOTE: Airplanes are very sensitive to weight and weight distribution. As such anyone weighing over 300lbs (21.4 stone/136 kilos) will be charged for an additional tour seat locally. All passengers must be weighed at check-in. All weights submitted must be accurate or you may be refused boarding if weights are incorrect. Yes, airplanes are very sensitive to weight and weight distribution. As such anyone weighing over 300lbs (21.4 stone/136 kilos) will be charged for an additional tour seat locally and a $150 supplement will be payable upon check-in. All passengers must be weighed at check-in. All weights submitted must be accurate or you may be refused boarding if weights are incorrect. Layered clothing is recommended through the months of March to September. Comfortable shoes are also advisable.